We read persuasive essays every day. Newspapers, editorials, magazines, blogs, and product reviews, just to mention a few, are all written to influence our way of thinking or action in a particular direction. The ability to persuade a person is not a mere act but an art. It is a habit that is refined such that one understands what appeals to the intellect and emotions of the person to whom the persuasion is directed. Persuasive essay writing requires this particular skill set. The power to appeal to your audience is offering them the right amount of motivation. The primary goal is to convince them that your point of view is correct and they too should subscribe to it. Your argument should elicit emotion in such a way that the reader is left with no choice but to agree with you. In persuasion, people employ different tactics depending on which result in the most action. These methods include using fear, coercion, coaxing and negotiating among others. 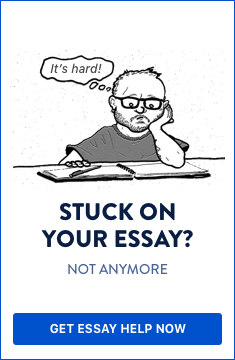 A persuasive essay can, therefore, employ any of these techniques. Moreover, this form of an argumentative essay bases its perspective on logic and reason to ensure that the target audience concurs with them or takes a particular action. First and foremost, forming your position. There is no way you can persuade someone if you are not well aware of where you stand. Understand the issue at hand and after that, identify the position you want to communicate. Be purposed in your writing. Whom have you addressed your persuasive essay to? In persuasion, you need to understand the drivers of your audience. The persuasive essay must have the ability to strike a nerve. Use the tool that resonates with them the most. Research is the third critical step in persuasive essay writing. Find all the data that can support your argument and ensure that it is extremely relevant to the point you wish to deliver. Lastly, is structuring the essay. You must format your persuasive essay in a manner that allows you to chronologically offer your ideas and their evidence while maintaining the interest of your reader all along. To do this, you must understand the format of a persuasive essay and its outline. 4 steps for writing a persuasive essay: 1) form your position; 2) know your audience; 3) research; and 4) structure. A persuasive essay has three major parts: introduction, body, and conclusion. Informs the reader of your topic. Suggests what the reader should expect. It is critical to note that the thesis, as part of the introduction, must be a subject of interest to the targeted audience. In a persuasive essay, the thesis, as part of the introduction, must be a subject of interest to the targeted audience. The writer discusses his agenda within this phase. He states his opinion using well-structured topic sentences and then proceeds with using facts, data, statistics and quotes to substantiate their point of view. Moreover, the writers can also use examples whether hypothetical situations or real life examples to deliver the point. To strengthen the point being put across, concession statements can come in handy. These statements give an opposing point of view contrary to what you are trying to communicate. However, cleverly providing evidence to refute their stand improves the credibility of your point of view. Remember to use transitional verbs to create flow. This stage summarizes all your ideas. It restates the thesis of your persuasive essay and briefly describes all the facts that you have put down to support the thesis. It makes recommendations and a call for action. Again, it allows you to make a personal comment on the matter you have discussed. TOPIC: Laissez-faire leadership style is the best. Provide background information on laissez-faire leadership and its meaning. Briefly explain if/why organizations need to understand it. Provide a thesis statement: Laissez-faire leadership is beneficial to company interests. A. Write a topic sentence that is brief and explains one major reason why this leadership style will work in organizationsProvide facts to support your point. B. Give a concession statement with a few facts. (However, some argue that autonomous employees may waste work or time resources in the workplace). C. Refute this statement with sufficient facts. D. Provide a conclusion and a decisive factor. II. Provide your second reason in support of the thesis. A. It improves communication and the flow of ideas. B. State the topic statement. Communication within the work place enhances participation, employee engagement, creativity, and innovation. D. Provide a counterargument to your point. E. Refute the counter argument. F. Provide a conclusion explaining why to focus on the benefit of communication rather that the counter argument. III. Present your third supporting reason. A. Provide a topic statement. B. Provide reason and facts for your point of view. D. State why it is important despite the counter argument. E. Provide a convincing conclusion. Laissez-faire cannot work within all work environments. A. Explain this point of view. C. Refute this claim and provide supporting facts. D. Conclude and provide a convincing reason why laissez-faire is the best leadership style. Including this section in the outline for persuasive essay is not compulsory, however, if you chose to add it, ensure that you have sufficient evidence to make this point and its rebuttals work in favor of your point of view. A. Restate the thesis statement in different terms or paraphrased. B. Capture all your main points and why they are relevant to this argument. C. Provide some benefits of the most important points about the topic. D. Make a call to action or end in a personal comment. In conclusion, the success of a persuasive essay lies in two major parts: the ability of the writer to capture his audience and the organization of the essay itself. Mastering these two will ensure that the author reaches out to his audience every time he decides to persuade them. The success of a persuasive essay lies in two major parts: the ability of the writer to capture his audience and the organization of the essay itself.